So, I'm walking towards Todai-ji... The path is lined with tourist trap shops that sell a variety of goods. This one, however, was the best by far. 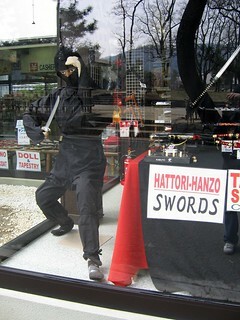 Apparently, they sell authentic "Hattori Hanzo" swords. Who knew?